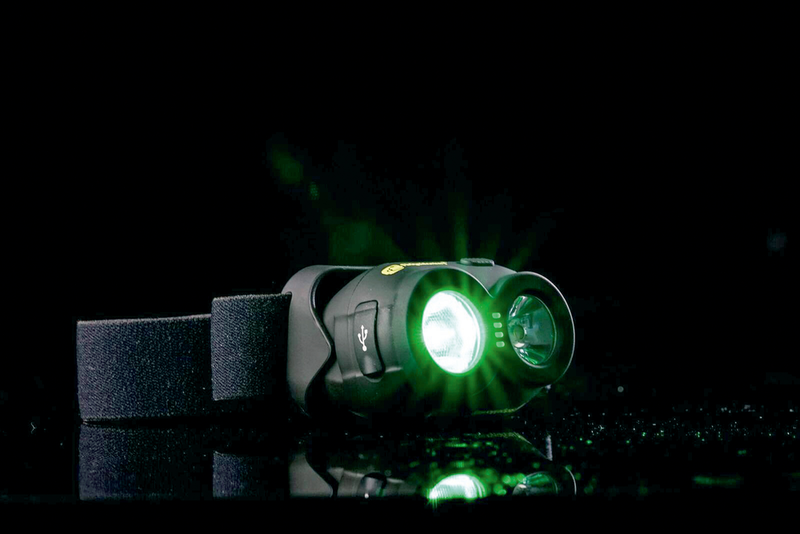 This is a more compact, lighter version of their best-selling 300-variant head torch. The new VRH150 bears almost all of the features of its bigger brother too. 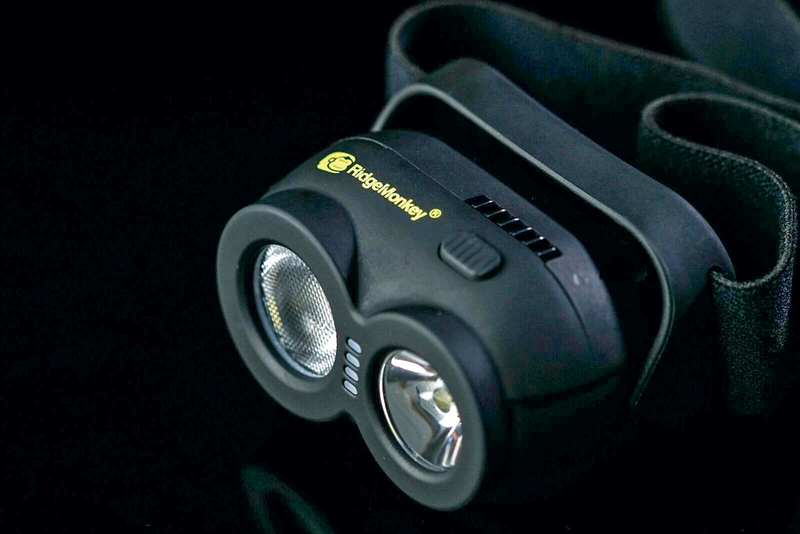 As before, the main benefit of the RidgeMonkey head torches is that they are fully rechargeable, providing you with up to 80 hours of light, depending on conditions (cold weather will always have an effect on battery-powered goods) and the strength of the beam. The VRH150 can be charged back up to full capacity via any 5V USB charge adaptors within 3½ hours. In terms of features, its dual orientation means that it has the ability to work whichever way on you put it. It has triple, high power LEDs, giving you five beam options, in two colours, with varying degrees of brightness between 30-160 lumens and a simple, push button control. Another handy feature is the battery read-out on the front of the unit, allowing you to keep an eye on its level of charge prior to, or during, a session. To keep everything nice and shiny, as well as to hand, obviously, one of the new GorillaBox tech packs is also available to house the head torch and lead out of harm’s way. Designed to fit on top of their Modular Bucket System XL, the Cozee Bucket Seat transforms it into a deluxe seat, featuring a luxurious padded cushion and a reinforced folding backrest. It is rated to 25-stone, making sure that it is capable of supporting all but the most rotund of carp anglers. The supplied cushion is both comfortable and, most importantly, weatherproof, to withstand the worst of the elements and provide you with a dry seat!